Since 1873, Kohler Co. has been improving the level of gracious living among its customers by providing exceptional products and services for the home. As a recognized global brand, Kohler leads the way in design, craftsmanship and innovation. 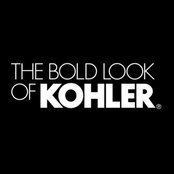 Kohler's product offering spans across all price points, offering consumers a wide variety of options in kitchen and bath fixtures, faucets, and more. Great products and they stand behind the lifetime warranty, no hesitation. Sent them pictures of a problem in a 15 year old faucet, and they sent a new one! Can not beat that! 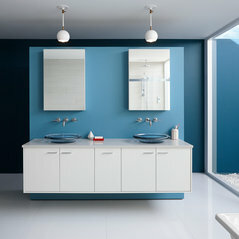 My customers really like the sleek and modern look of the plumbing fixtures we selected. The product helped us achieve the look we wanted. I just remodeled my bathroom and put all Kohler fixtures (except faucet & sconce). Everything came out beautifully and I'm thrilled with the quality and look of my new bathroom. We use their products on many of our projects. We are installing their DTV+ system right now on a steam shower and their contractor support has been great. 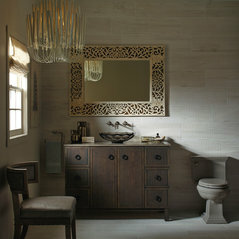 Kohler is an "always dependable product and company". They show the world how to do this right. Thanks for being a "tried and true" answer to every great project. We love our Artifacts faucet! It is quite the show piece. My cat thought she would model it. The polished chrome is beautiful! Ha commentato: Help! new Kohler Underscore BubbleMassage tub came leaking twice :(Hi dottycat, we're sorry that you're having issues with your bathtub. We'd like to work with you on this. Please email our customer service team at KohlerCustServ@Kohler.com. Thank you! Ha commentato: Can this cabinet be recessed?Includes mounting hardware for surface or recessed installation.